If you’re one of the millions of people uploading your photos to sites like Facebook, Kodak Gallery, Shutterfly or Snapfish, you may think that you’re putting them in a secure place. If you’re anything like a normal person (i.e. not a lawyer), chances are you didn’t eyeball those “terms and conditions” too carefully before you created an account and started uploading your photos. Facebook: The social-media machine doesn’t limit the number of photos or albums you can upload and store, although you can only feature 200 photos per album (100 photos in each Mobile Uploads album). Uploaded images must be unedited files, with a maximum size of 15MB each. Starting in September 2010, Facebook increased its support for high-res photos, bumping up the maximum size of stored photos from 720 pixels to 2048 pixels on the largest edge. To ensure you (or the Facebook friends you’ve given access to your albums) can download a high-res image later on, use the “High Res” upload option rather than the “Standard” one. Once the photo is on Facebook, you simply have to click on “Download High Res” next to it to download the high-quality version for free. The photos were retrieved, and these may be quirks common to all photo sites, but…still. It’s not exactly what you want to hear when you’ve got all your images “backed up” in Zuckerberg’s roost. Flickr: The Yahoo!-owned Flickr breaks its membership up into a free basic account and a “Pro” account. If you stick with the freebie, you can only upload up to 300MB per month, and images can’t exceed 15MB each. Plus, you’ll only see the most recent 200 images displayed. Upgrade to a Pro account for $24.95 a year, and your options expand. Not only can you upload an unlimited number of photos that can be up to 20MB each, but all the photos you add to Flickr are available to family and friends. Images uploaded to Flickr are compressed and resized as 75×75 pixels (thumbnail); 100 pixels (on the longest side); 240 pixels; 500 pixels; and “large” (you’ll get 1024 pixels if it exceeds that length). The original size is also retained and available for free download, but only if you have a Pro account (the originals are archived even if you have a free account in case you decide to upgrade to Pro later). Photos are supposedly never deleted from Flickr unless you do it yourself—though “management” retains the right to nix your account if you don’t play by the Community Guidelines (which offer mostly common-sense rules such as avoiding copyright infringement and illegal content). Still, it can be somewhat disconcerting to think that those birthday party photos you were hoping to store on Flickr for the long haul might be up for ethical interpretation and eventual eviction. Kodak Gallery: As a member of Kodak Gallery, you can upload an unlimited number of photos to both the Kodak Gallery and Kodak Gallery Classic. Kodak Gallery offers “free” storage for your images, but you need to make purchases totaling at least $4.99 (if your image collection totals 2GB or less in your “My Photos” section) or $19.99 (if your “My Photos” images go over 2GB) at the end of the first 90 days after your initial uploads, and then at least once every 12 months thereafter. Otherwise, your images may be deleted (your entire account can also be dumped entirely if it remains inactive for 60 months). What’s nice, however, is that you have free access to full-resolution downloads of all of your images—as long as you play ball by keeping your account current and adhering to the previously mentioned purchase mandates. Picasa Web Albums: Google’s photo-sharing site allows you to upload images up to 20MB that are 50 megapixels or less. Picasa allows you to select different upload sizes to suit your needs: small (640 pixels); medium (1024 pixels); recommended (1600 pixels); and original resolution. You’re able to preserve original image quality for smaller-size uploads. As far as storing your photos goes, you’ll get 1GB for free for your photos and videos (which also includes photos or vids you post to Google’s Buzz or Blogger sites). If you upload more than your allotted 1GB, you can pay $5 a year for an extra 20GB or up to $256 a year for 1TB. You can download your original full-res photos if you use Google’s free Picasa software program. Update (3/1/2011): Google announced that they have bumped up your free storage allotment. Photos under 800 pixels in size and videos under 15 minutes in length will not count toward your free 1GB worth of storage. This effectively expands the number of photos and videos Google will store for you for free. 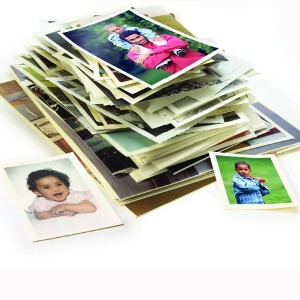 Shutterfly: Shutterfly’s storage policy indicates that you can keep as many pictures as you want on the site, with no fee to upload or store the images. The service stores images at full resolution. 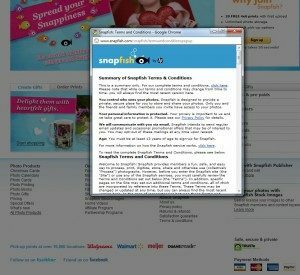 As of January 2011, Shutterfly doesn’t allow the viewing or downloading of your high-res photos on the site—not a great feature if you were hoping to use the site as your official backup plan. You can save a low-res version of your images by right-clicking on the image (or holding down the “Control” key on your Mac while clicking), but the file you download is generally only suitable for monitor viewing, not for high-quality prints. Unlike the deletion of your photos on other sites if you don’t buy their merchandise, your pictures on Shutterfly will be kept in your account until you delete them yourself. At least you know your photos aren’t going anywhere—even if you can’t access the full-res versions of them. Snapfish: Snapfish stores three versions of your photos: a thumbnail, a low-res file, and a high-res copy. Its “Terms and Conditions” section does warn, however, that the original resolution and format of your content may be modified depending on the upload speed you choose. Plus, if you upload extremely high-res photos, Snapfish may resize the photos regardless of the upload speed you choose. Your photos enjoy free, unlimited storage on the site with one caveat: You must retain what’s called “Active Participation” in the service—meaning you have to send in film or purchase photo or video merchandise through Snapfish at least once every 365 days. Renege on your end of the deal and the site could discard every single photograph you’ve obsessively uploaded over the years. In terms of downloading, Snapfish allows you to access the low-res versions for free at any time. However, if you want the high-res versions, you’ll need to pony up the cash for a photo CD (containing up to 500 photos) or a Zip file that can be immediately downloaded. For the downloadable Zip file, the first high-res photo costs 25 cents; all other photos after that are 5 cents each, up to 50 photos for each Zip file. Bottom Line: So where are your photos safest and, just as importantly, where will you get the best bang for your photo-storing buck? Depending on the number of photos you have, Picasa Web Albums appears to be the most economical solution – you can store up to 20GB of photos (about several thousand, depending on the resolution of your camera) for only $5 a year. However, if you want to do more with your photos than just look at them on an online gallery or do some rudimentary printing, Kodak’s Gallery service has a lot to offer. 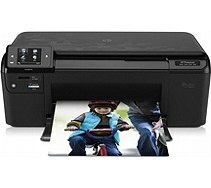 If you make a few photo prints or holiday cards, you’d easily reach their $20-a-year requirement while enjoying unlimited high-resolution storage and downloading – better terms than the company’s competitors are offering. Read part two in our series where we cover sites such as SmugMug, myPictureTown, Photobucket and more!